Download the latest version of the precompiled GDAL binaries from here. Choose the ones that suit your system (32bit or 64bit). Extract the contents from the zip file to a location on your hard disk e.g. C:\Program Files\GDAL (I ran into a number of AccessViolationExceptions when I used the binaries from FWTools 2.4.7). Include both the path to C:\Program Files\GDAL\bin\gdal\csharp as well as C:\Program Files\GDAL\bin in your PATH system variable. 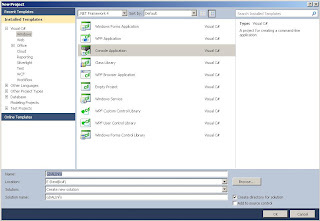 On http://svn.osgeo.org/gdal/trunk/gdal/swig/csharp/apps/ you will find sample C#-classes that use the GDAL-bindings. In the following I will use GDALInfo.cs as an example. 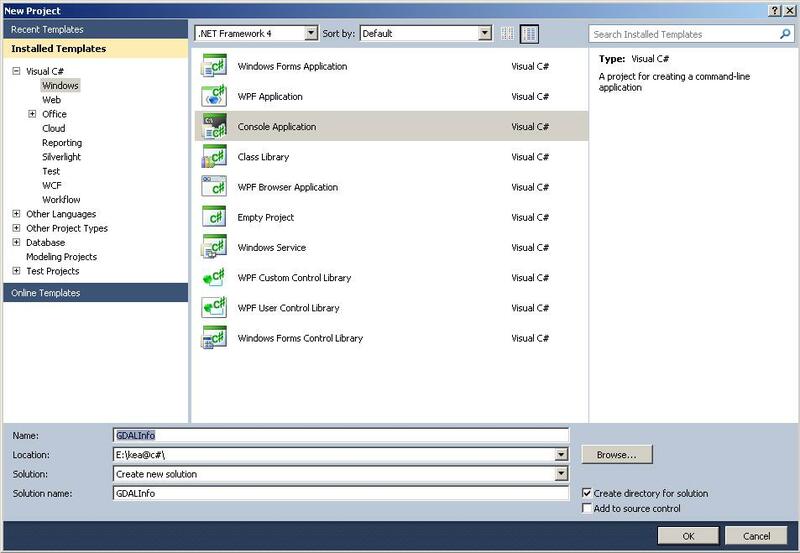 Create a C# Console Application project that uses the file GDALInfo.cs. 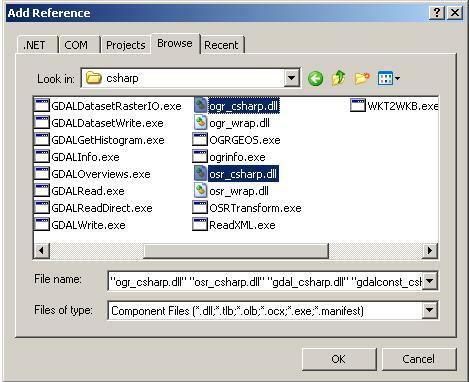 Add four of.the dll-files that can can be found at C:\Program Files\GDAL\bin\gdal\csharp (or wherever your installation path of the current binaries is) to your project references: gdal_csharp.dll, gdalconst_csharp.dll, ogr_csharp.dll and osr_csharp. Build the solution. If you are on a 64bit system and you are using the 64bit GDAL binaries you have to make sure you actually build for 64bit (you will get errors otherwise when you try to run the program). Now you can run the program with some data. Include a reference to one of the raster files in the Command line arguments field of your Debug options (in the properties of your GDALInfo project; don't forget to put the path inside double quotes of it includes blanks). That's it. Now you can use the other example C#-programs to open, copy, manipulate raster data in variety of file formats. For some of the other example files it is necessary to add some additional references (e.g. System.Drawing). The R blog article encourages me to write this solution to extract Raster values from points in R.
In geospatial analysis, extracting the raster value of a point is a common task. If you have few raster files or few points; you can extract the raster value by overlaying a point on the top of the raster using ArcGIS. What will you do, if you have hundreds of raster files and thousands of points? The easy solution is use loop in Python and ArcGIS. Is loop efficient to use? No. Can loop be avoided? Yes. Step 1: Create a Raster stack or Raster brick of your raster files using “raster” package in R.
Step 2: Read point data, and convert them into spatial points data frame. Step 4: Combine raster values with point and save as a CSV file. Step 5: You should get the results as following table.